areth Emery is a DJ/producer with an insatiable appetite. 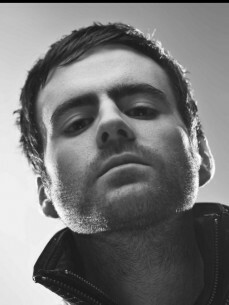 Since 2013, the British DJ has barely taken a breath, headlining mega-festivals, dropping a new LP and growing his increasingly popular, trance-facing imprint, Garuda. This year, he’s played big budget US blow outs like Ultra and Coachella, as well as embarking on a full Australian tour, thanks largely to the release of his long-awaited second LP, ‘Drive’. “My top moment was when my album 'Drive' reached the iTunes Top 10 in over 20 countries,” he tells DJ Mag when asked about his career highlight. And rightly so. Emery’s ‘Drive’ more than lived up to the legacy left by the producer’s own anthemic 2010 ‘Northern Lights’ LP, despite a notable departure from his harder trance roots to what he now describes as “uplifting house”.